Looking to sail from Biograd? Search to find and book your ideal boat, or read everything you need to know: prevailing winds, where to sail, how to get there and more! There's so many great places to explore from Biograd that there really is something for everyone, and you could come here year on year and still sail to somewhere new and exciting: there's the incredible Kornati island and Telascica marine national parks (and it's dolphins and sea-turtles), the superb inland waterfalls at Skradin, the quiet tranquility of Zut, the holiday atmosphere of Jezera, the heart-shaped island of Otok Galesnjak, the historic town of Zadar, the fishing villages of Iz, and much, much more! 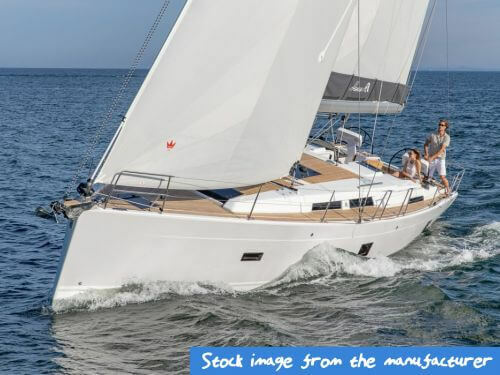 To complement all that, there's glorious sunshine, reliable prevailing winds, and great sailing infrastructure - including multiple new marinas in useful places - and everyone is super-friendly. You certainly won't be disappointed if you charter a yacht or Catamaran here! Biograd is just a handful of nautical miles from the delightful Kornati islands archipelago, which is a marine nature reserve that offers an immense range of beaches, secluded bays and is teeming with wildlife. You can sail to the 3,000 year old Zadar, or it’s only a short hop off the beaten track to lots of small island villages where people have been growing olives, making wine, or fishing for centuries. This marine national park comprises 89 islands, 537 species of plant, 750+ species of wildlife, and seas teeming with reefs and sealife (including dolphins and sea-turtles). Navigating the outstanding beaches and secluded bays is marvellous! 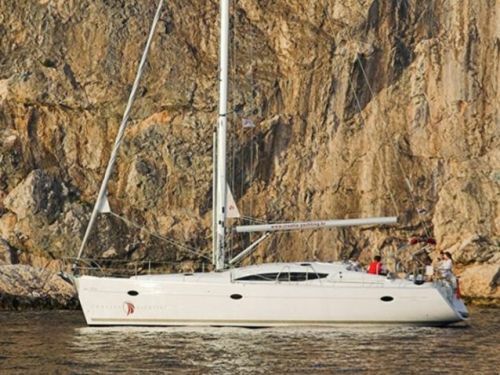 (NB There is a ticket charge to sail in the Kornati islands). Home to seven magnificent and mesmerising waterfalls which showcases nature at its most beautiful. Stroll around the waterfalls, fill your memory card with photographs, and relax with an ice-cream in the sunshine. 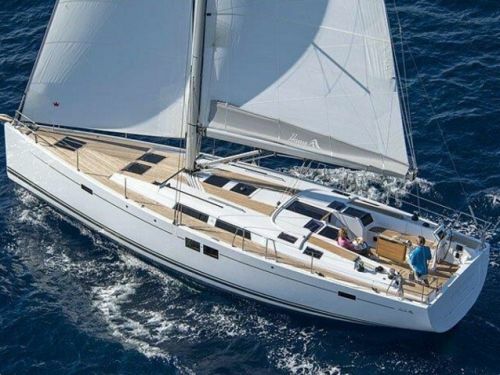 Being located pretty much slap bang in the middle of the archipelago means that there’s plenty of choice when sailing from Biograd – and one of the big choices needs to be made at the start of the week as to whether you’re heading south to Skradin, north to Zadar, or as far West as you can get. This itinerary heads south, but there are a few places we would’ve loved to take you to in other directions – sadly we simply don’t have the number of days we’d need to get around it all! 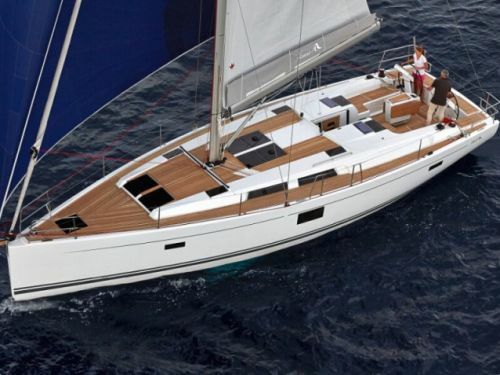 This itinerary is 117 nautical miles, which should mean travelling at a leisurely 20 nM a day or so, which, with a yacht going on average 5-6 knots, should only be 4-5 hours of sailing per day. There’s obviously more hours of daylight than that, which you can then choose to spend exploring your start or end point in greater depth (or doing the shopping) or stopping en-route when you spot somewhere you’d like to go to eat or for a swim. The route takes in the natural beauty of the waterfalls at Skradin, sailing through the unique landscape of the Kornati national park, and the super cute towns of Jezera, Kaprije and Sali. We stop each night in a marina, but you can always anchor down in a nearby bay if you don’t fancy going ashore, or if you want to sail further or shorter than our route. If you are following this route, it will be cheaper to buy a pass for the Kornati National park at the office at Marina Kornati now than if you have to pay a ticket inspector out at sea (they do check, and add about 50% to the price). They tend to have inspection boats out in the early evenings, so the unwritten rule is that you only need to pay for the days when you will be in the park after 4pm – so you should only need a one day pass for this itinerary. 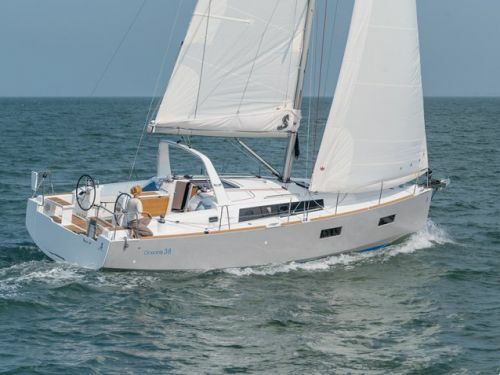 This is just a 6-day itinerary because often you won’t be able to do any meaningful sailing on the first day of your charter (after you’ve checked in, got all your provisions, etc…). if you’re planning your own itinerary, you should note that you’ll need to be back in the marina on the Friday night (the day before you check-out) as the charter owners like to check on their boats the night before the changeover. You’ll still sleep on the boat, but you won’t be able to sail prior to checking-out on the Saturday morning. Wake up, make sure everyone has a good breakfast, stow all your luggage below, and then we’re ready to slip the lines and get on our way. 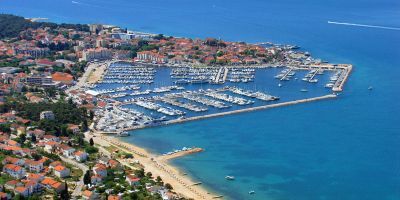 Biograd is one of the bigger charter bases in Croatia, so it’s likely you won’t be alone as you set sail out of the marina and over the horizon. The first days route is 25 nautical miles and should see you sailing in practically every direction for at least a short spell. The prevailing wind should be whooshing past you from the sea towards the land, so you should be reaching up and down the coastline. After checking out the island and sorting out your love lives, we’re going back the way we came, beyond Biograd and heading South-east along the coast-line to the island of Murter, and, further round, the village of Jezera. There’s a marina in Jezera a short walk from the old town, or you can try and snag a spot near the fishermen in the harbour and literally hop off your boat into the old town, which is built around the harbour and boasts a decent range of restaurants and bars. There’s also a decent-sized supermarket (since we’re still technically attached to the mainland by road) if you’ve forgotten to get anything. From Jezera, we’re heading further South-east and trying a bit of in-land sailing. It sounds unusual, but it’s pretty much the same, but with narrow channels to navigate down. Again, we should be reaching down the coast-line, then running with the wind as we pass the gates towards Sibenik, and reaching and running again to get to Skradin. Passing under a road-bridge in a yacht is a bit surreal, but it’s all part of the drama. Skradin is a small village with a few shops and bars and a relaxed atmosphere. There’s plenty of tourists because this is near the famous national park of Krka, home of the Krka falls – a series of seven waterfalls which cascade down the local hillside both mesmerizingly and magnificently. Google them to see what they’re all about, but they are worth a look. If you arrive in time, head there in the afternoon, but if not, don’t panic – you can always go tomorrow morning. Leaving Skradin, head back down the channels to Sibenik and back out to sea. You’ll likely be tacking and beating into the wind as we head further west, dodging the islands as you work your way across, over and down to find the village of Kaprije which is nestled quietly out of the way of the wind. The village has a population of 143, the majority of whom are involved in growing vines and olives on the island. That said, there’s still five or six places to head to for a bite to eat or a drink, plus a couple of shops, an ATM and a church. There’s even a few holiday apartments here which are advertised for people who simply want to get away from it all. It’s a tranquil village to spend the night, and the local wine is worth a try! If you enjoyed the tranquillity of Kaprije, you’re in for a treat at the next marina, Piskera. The marina was built on an uninhabited island in recent years to make it easier for sailors to explore the Kornati islands, so the only people who you’ll find there are people who have arrived by boat. Nowadays the marina also boasts a shop (which is a little over-priced, but heck, you’re in the middle of nowhere?!) and a bar/restaurant with great views back across the marina. Sailing-wise, you’re heading in a westerly direction, beating into the prevailing wind for starters, then reaching up towards Piskera. Enjoy weaving through the islands – some have beaches, bays or even bars, where you can stop to draw your breath and to enjoy the scenery. This is also dolphin and sea-turtle territory, so keep an eye out (and a camera handy) for those, just in case! From Piskera, we’re continuing to weave our way around the islands as we sail north-westerly. All of the 89 islands that make up the national park are uninhabited, and the area was designated a national park in 1980 to protect the 537 species of plants and 750+ species of animals in the area. The area also has a sea-bed with coral reefs, oysters and waters teeming with sea-life. Sailing North-west should mean that you’re reaching against the prevailing wind, and tacking to avoid the islands or to find places to shelter, swim or play. You are allowed to hike on the islands, and you’ll get good views at the top of each island, but the heat normally makes hiking pretty unbearable. At the top of Kornati island (the biggest in the archipalego), we’re heading east to follow the eastern coast of the island of Dugi Otok, where we’re spending the night back in the (relative) civilisation of the fishing village of Sali. Sali has been a fishing village for over 1,000 years, and it is, naturally, all built up around the harbour. They have a supermarket here, as well as waterfront bars and restaurants, and even a specialist ice-cream shop. The locals swear that their olives are the best that you’ll find in the Mediterranean, on account of them growing on olive trees that are over 700 (yes, seven hundred) years old. Alas. It’s already the last leg of the itinerary, and, hopefully with a crew that are super-relaxed and super-happy, it’s time to head back to Biograd. Despite being on roughly the same latitude as Sali, Biograd is in a south-easterly direction from here, as we have to sweep under the island of Pasman, and then back up. That should mean it’s a broad reach across the prevailing wind across the channel to Pasman (and stopping at the beach Vrgada if you have time to spare), before sweeping northwards to Biograd. Once near the marina, you’ll come to the fuel berth on your starboard side (or, more likely, you’ll come across a somewhat disorganised queue of other charter yachts and catamarans who are waiting to get to the fuel berth, which you should join). After refuelling, take the boat back to where you found it a week ago and there should be someone there to help you moor up. Someone will come and inspect the boat, but you’ll complete the full check-out tomorrow. If you haven’t yet visited Biograd town, there’s a strip of bars and restaurants along the waterfront which will be rammed with sailors tonight who you can swap stories with or dance with. If you have time tomorrow, Zadar town is a short bus-ride away and the whole of the old town is a UNESCO world heritage site – check out our destination guide for Zadar if that sounds like a place you’d like to see. Finally, you’ll be on your way home. Hopefully you’ve had a really memorable week in the sunshine, you’ve seen some sights that you’ll remember for years to come, and you’ve had a lot of fun with the rest of your crew. Have a safe flight, and thanks for sailing with PlainSailing.com. Maybe in a few weeks or months, you can come and visit us and start planning your next sailing adventure! Croatia in general has beautiful weather, with dependably hot summers coupled with mild winters, and not too much rain. As far as sailing goes, Biograd has optimal temperatures throughout the main sailing season - from May to September it is usually somewhere between 20 and 25 degrees, which means it’s warm enough to spend the day in shorts and t-shirt and to get a mild tan, but not so swelteringly hot that you’ll find the heat overbearing or have to spend the day dashing between patches of shade. 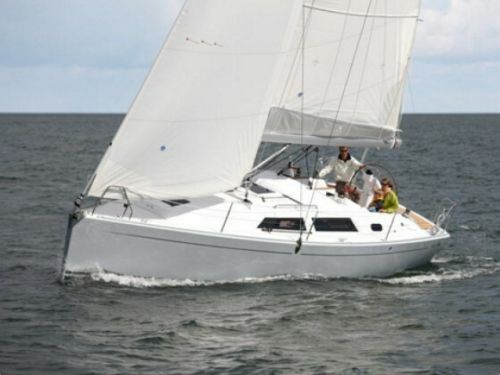 Even during winter, the weather is mild enough to still make sailing pleasant. You won’t need to worry about snow and ice, which are rare here - but you should almost certainly pack a few extra layers of clothes if you’re planning on staying above deck for long. There aren’t so many under-water currents in the Adriatic, so the water tends to be warm all year around. Even when it dips in temperature during the winter to around 15 degrees, that’s still only a couple of degrees cooler than you’d find in Cornwall in the UK in mid-August – so it’s certainly warm enough to dive in (for a short while), and you won’t need a wetsuit. In summer, the sea temperatures come into their own: from May, you’ll find the seas a pleasant yet refreshing 20 degrees, and by mid-August, it will feel as though you’re swimming in a (massive, crystal clear) swimming pool (with delightful views). Aside from the great temperatures for the sailing season, Biograd also has reliable winds, and plenty of islands to explore, which are basically the three pre-requisites for being a great sail-cruising destination. The prevailing winds during summer are the ‘Mistral’ winds, which race landwards from the sea, and are in part powered by the heat of the sun: the sun warms the land, which warms the air above it, which causes it to rise, and which, in turn, pulls the cold air in from above the sea. It means that getting up and down the coast should be relatively straightforward reaches with your sails, and it’s as fast to go North as it is to go South. The winds are notable for their reliability – they’re almost always Force 3 to Force 5, and they tend to be strong from 9am to mid-day, take a break (“for lunch” according to local fishermen) before returning stronger from 3pm to dusk. After dark, there are usually light winds back out towards the sea, if there are any winds at all. In winter, there is no such thing as a prevailing wind, and you’re as likely to see weather systems coming down from the Alps and the mountains to the North as you are to see them arriving from the equatorial area to the South of the Med. The unpredictability can make for some challenging, but exhilarating sailing. What is the Current Weather in Biograd? 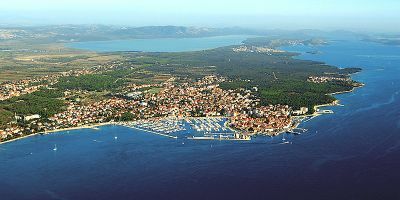 Biograd, or Biograd na Maru to give its full title, is a centuries old city on the side of the Adriatic sea. The name literally means ‘White City’ and harks back to when all the buildings in the city (when viewed from the sea) were a spectacular white – that was in the days when it was a thriving trading port and stopping point of the Venetian empire. Being so ancient, the city has its fair share of monuments and ruins, though much of it has been destroyed by its’ bloody history – Biograd has been razed to the ground multiple times, but always been built back up again. Tourists flock to Biograd to take boat trips to the nearby Kornati islands, as well as for diving, horse-riding and deep-sea fishing. Assuming you’re trying to find something to do off the boat, the city is home to a number of brilliant beaches (the best of which being Drazika beach, in the south-east – but be warned that it can get very busy!) as well as the beautiful Vransko Jezero lake and nature reserve, which offers tranquillity and a diverse range of animals and plants. In 2017, Biograd became the host of Croatia’s first ever theme-park – Fun Park Mirnovec has all sorts of rides and rollercoasters, and is located just outside the city. One of the zones is ‘Pirate city’, and there is no upper age limit on who can come and enjoy the rides. Of course, the city itself is well worth a wander around for an ice-cream and to relax outside a street-café in the sunshine, or you can catch a bus to nearby Zadar if you’re keen to catch a little more culture or architecture – the whole town was recognised as a UNESCO world heritage site in 2017. The first weekend in May sees the Street Music festival when street performers take to the streets to welcome in the summer season. In June, there’s the GastroTable – a festival of gastronomy combined with a live folk dancing competition, and the town is full of folk musicians. Through July and August, Biograd Summer festival means there’s usually a string of events across the town to entertain the tourists, with live performances most evenings, and including some of the biggest and best names in Croatian culture. 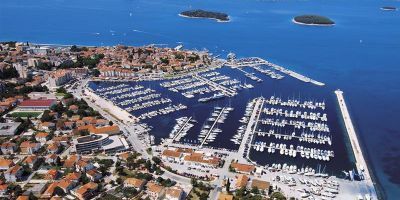 And finally, if you’re a real boat fan, Biograd Boat Show is the biggest regatta and boat show in Croatia (in October)! Casa Vecchia – In the heart of the old town, about 300m from the marina, and next to St Anastasia church. This is the best pizzeria in the area, and the courtyard is a very pleasant place to sit. We’re predictable and always go for pizza with the house red, but they also do pasta (Kralja Kolomana 30, Biograd na Moru). 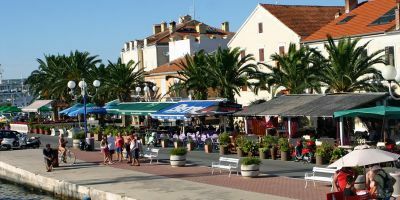 Biograd is more a family town than a party venue, but that doesn’t mean that there’s isn’t anything to do after nightfall – there’s a strip of bars and restaurants along the waterfront which get livelier as the night progresses, and which naturally offers great views of the sea. A few times a year, there’s a stage set up along the esplanade which is taken over by local and international performers, and the place rocks. Malo Misto caffe – located towards the back end of the waterfront strip of bars, this serves great coffee in the shade during the day, and decent cocktails (and local beers) well into the night. We like the atmosphere here (Obala kralja Petra Krešimira IV 8, Biograd na Moru). Carpymore – a bar in the old town where there’s often live music during the summer, which helps to cultivate a vibrant and lively atmosphere. They also do food and cocktails, but we’ve had mixed reviews of both (Kralja Tvrtka 10, Biograd na Maru). Aqua Nightclub – it’s not the best nightclub in the world, but it’s certainly the best one (of very few) in Biograd - so if you want to get your dance on, here is the place to go. It’s about 600m further down the coast than the marina, and there’s sometimes local celebrity DJ’s leading the party (Plaža Soline, Biograd na Maru). 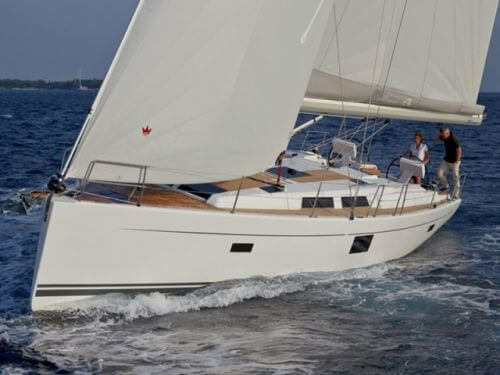 Yacht and catamaran charters typically run from Saturday to Saturday, with people checking out of the boat at 10am on Saturday morning, and new guests arriving at 3pm, giving the charter operators time to clean, inspect and maintain the boats before their next big adventure. Guest House Dia *** – c. £45 for a double room – a clean and tidy hotel within 600m of the marina. The apartment owners will look after you, all the rooms have balconies for sunbathing, and some of the rooms include cooking facilities (though eating out in Croatia is pretty cheap). Hotel Adria *** - c. £90 for a double room – located in the middle of a forest, within 400m of a beach (and 800m of the marina), and with its own exclusive pool area, a football pitch and a tennis court, this is a bit of a resort hotel that would be ideal for a family holiday, but they also sell rooms by the night. Hotel IN **** - c. £140 for a double room – a luxurious 4-star hotel with balconies overlooking the sea, a hot tub on the roof terrace, and its own spa and wellness complex and fitness centre. It’s located on the seafront just next to the marina, and is a great way to ensure you arrive well-relaxed. Biograd is one of the most popular sailing bases in Croatia, and it is within easy sailing distance of the Kornati national park – an area of outstanding beauty which is now protected for future generations. 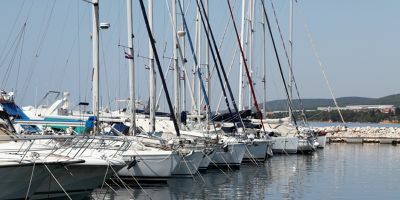 It was one of the pioneering marinas of Croatia – it was established in 1985 when the local mayor identified that there was a real lack of facilities for sailors. 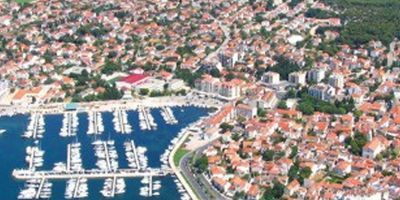 Since those humble beginnings, there are now two marinas which together can hold 750 boats, making the town one of the biggest charter bases in Croatia. 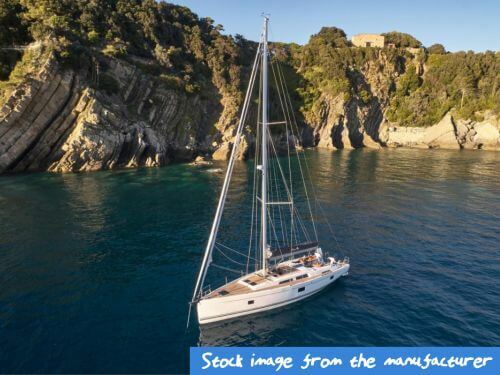 Marina Kornati has grown over the years, and the opening of a second Southern wing just 100m further down the coast means that it now completely envelopes the smaller Marina Sangulin. It has all the usual in-marina facilities you would expect from a blue-flag marina – the restaurant in the marina in particular boasts an impressive fine-dining menu and a wide range of local and imported wine. The nearest decent-sized supermarket is the Konzum, which is just opposite the north side of marina Kornati, and about 300m away from marina Sangulin. It should have everything you need to get provisions for the week. The address is Šetalište kneza Branimira 7, 23210, Biograd na Moru. Marina Sangulin is the smaller marina, and has toilet and shower facilities and water and electric, but, as it only hosts one charter company, it doesn’t boast much by way of tourist facilities: which is fine, because there’s a whole range of bars and restaurants – and a supermarket – within a couple of hundred metres of the marina entrance gate. 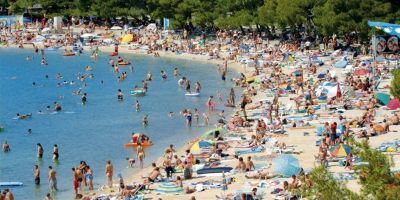 Both Kornati and Sangulin are less than five minutes by foot away from the centre of Biograd, from where you can catch a public bus to nearby Zadar. The nearest international airports to Biograd are based in Zadar (29km) and Split (107km). Private transfers from either airport can be easily arranged by our team, with the drivers meeting you at the arrival gate and taking you straight to the marina to ensure that you have as hassle-free journey as possible - the journey from Zadar takes about 30 minutes, whilst driving from Split takes about 90 minutes. 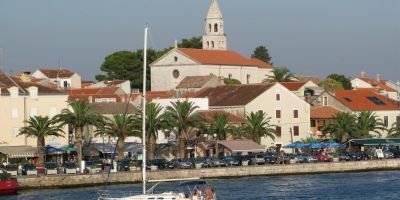 A public transport option is available from Zadar or Split city centre (the main bus from Zadar to Split and vice-versa stops at Biograd, and the marina is only a short walk from the main bus station), but if you are arriving directly from the airport, this will mean taking a bus into the city and may well work out more expensive and time-consuming than arranging a private transfer. To book bus tickets or to see the timetable visit BusCroatia.com.